A swimming pool, swimming bath, wading pool, paddling pool (or simply a pool), is a man-made container filled with water intended for swimming or other water-based recreation. A pool can be built either above or in-ground, and be constructed from materials such as concrete (also known as gunite), metal, plastic or fiberglass. Pools can be decorative or custom shape and size, or they may be standard sizes, the largest of which is the Olympic-size swimming pool. Many health clubs, fitness centers and private clubs, such as the YMCA, have public pools used mostly for exercise or recreation. Many hotels have pools available for their guests to use at their leisure. Educational facilities such as schools and universities occasionally have pools physical education classes, recreational activities, leisure or competitive athletics such as swimming teams. Hot tubs and spas are pools filled with hot water, used for relaxation or hydrotherapy, and are common in homes, hotels, clubs and massage parlors. 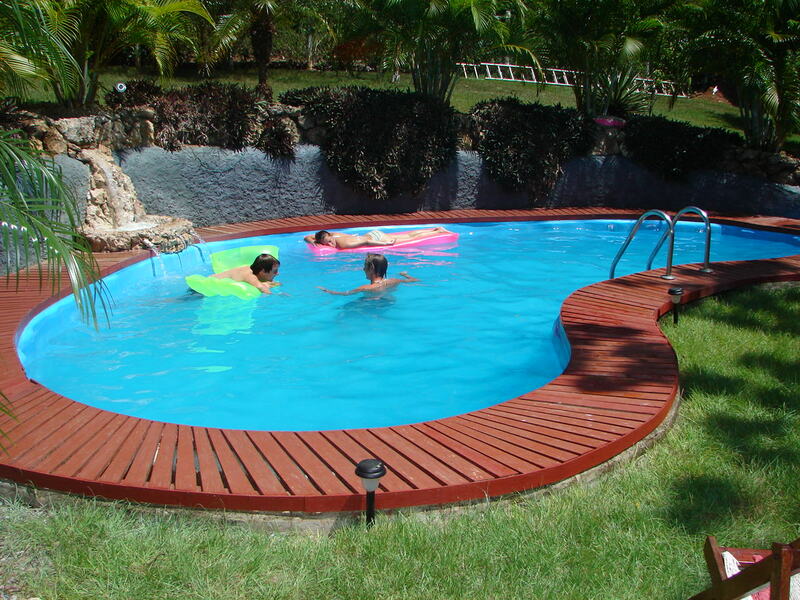 Special swimming pools are also used for diving and other water sports, as well as for the training of lifeguards and astronauts.